Legal defensibility masters from inside and outside the corporation will discuss the impending FRCP changes and how the new “reasonable” standard in the amended FRCP will alter the necessary requirements for creating a defensible legal hold system. Legal hold defensibility is a routine topic of discussion among legal professionals, owing to hold complexity and lack of guidance from the judiciary. The proposed (likely to be accepted) FRCP e-discovery amendments attempt to add clarity by creating a new threshold for e-discovery sanctions, requiring parties to “take reasonable steps to preserve information." But what do “reasonable steps" look like in practice and how can organizations adequately prepare? 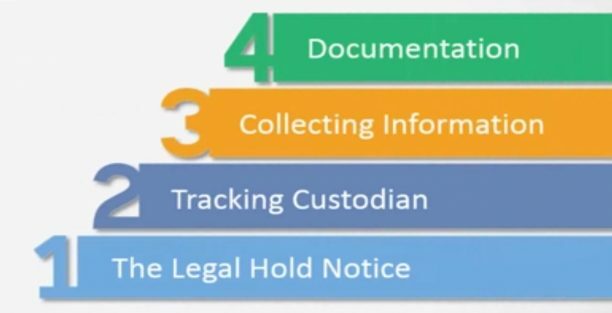 Since it serves as the foundation for e-discovery defensibility, the legal hold process is a great place to start.